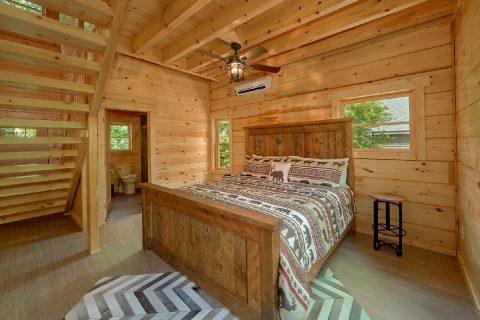 Looking for a unique 1 bedroom cabin for your Smoky Mountain vacation? 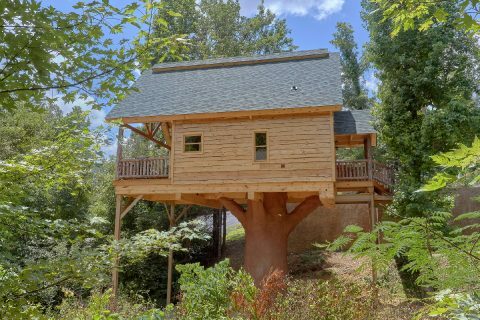 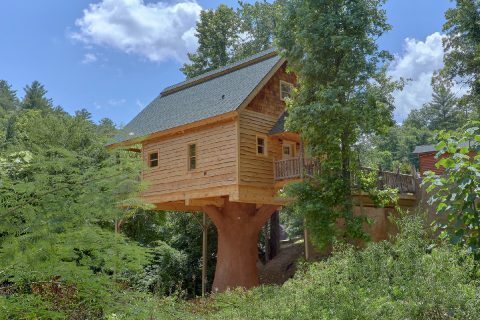 Check out "Out On A Limb," a charming, treehouse inspired cabin that can be your very own getaway in the Smokies! 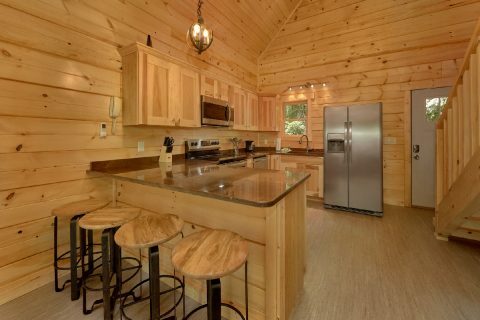 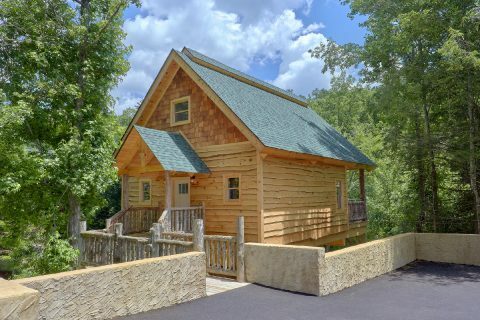 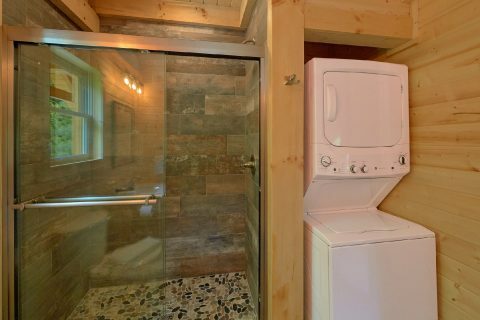 Not only does this luxurious cabin provide a peaceful location in Mountain Park Resort with a nice forested view, but it's also located less than 1 mile from the Pigeon Forge Parkway! 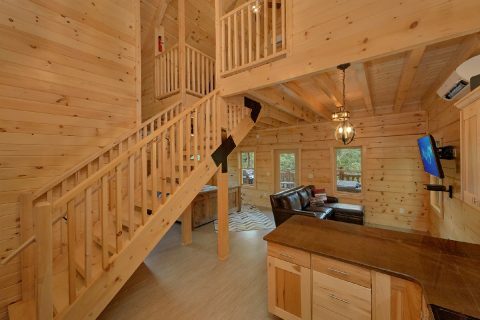 As a result, this cabin is perfect for guests who want quick access to top attractions like The Island, Dollywood, The Historic Old Mill, and The Titanic Museum! 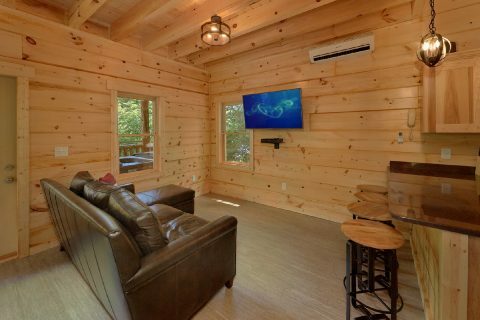 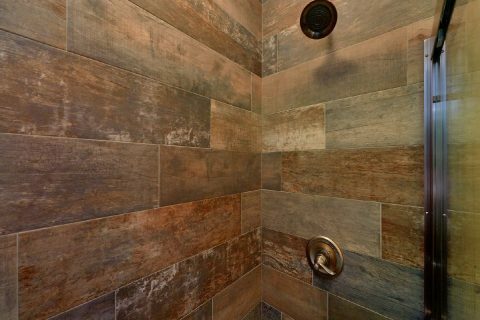 When you aren't busy seeing the sights of Pigeon Forge or hiking in the Great Smoky Mountains National Park, you'll love unwinding at this cabin that's only minutes away from all the action. 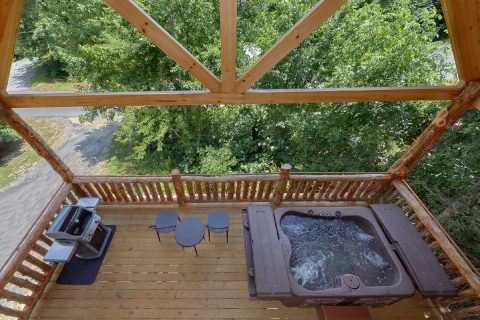 On this treehouse cabin's deck, you'll find a hot tub for enjoying a relaxing soak in the fresh mountain air. 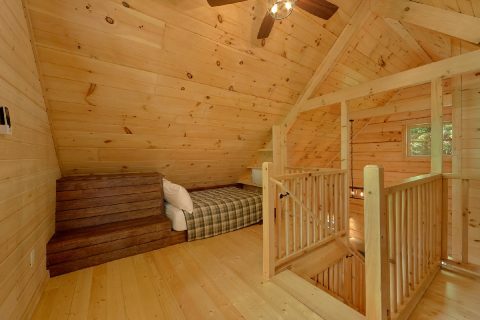 Next, you can step inside this cabin's cozy living room, the perfect space to unwind with family and friends. 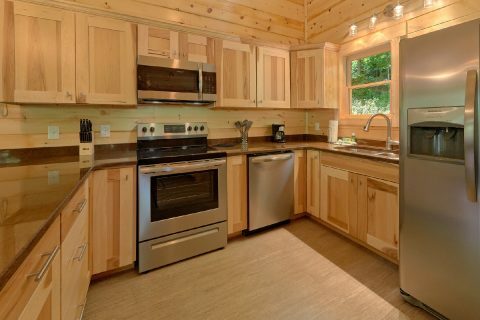 The main level is also home to a kitchen and dining area, so you can make delicious meals to enjoy in the comfort of your cabin. 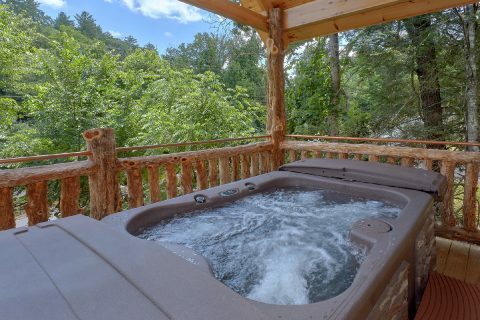 During the warm summer months, you can always go for a refreshing swim at the Mountain Park resort swimming pool! 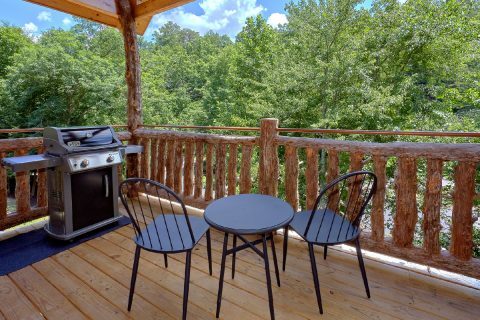 With your cabin's gas grill, you can have the perfect end to a nice summer day by grilling out in the great outdoors. 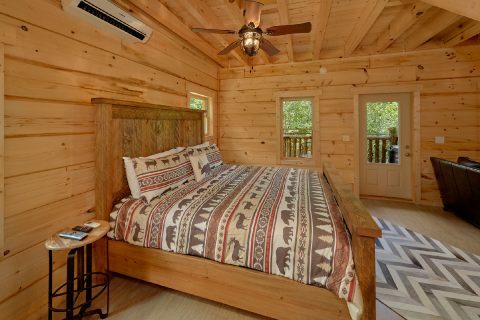 Altogether, "Out On A Limb" sleeps up to 6 guests in comfort, so it's just the right size for a romantic getaway or a small family vacation. 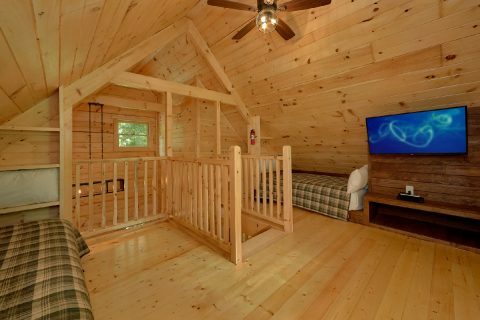 On the main level, you'll find a king bedroom. 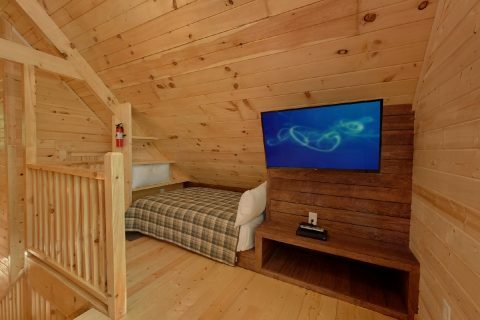 Upstairs, there are two more full-size beds in the cabin's loft area. 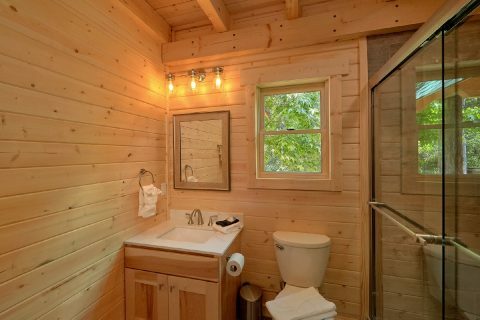 Lastly, this cozy cabin comes complete with practical features like WiFi Internet and a washer/dryer to make your getaway simple and care-free! 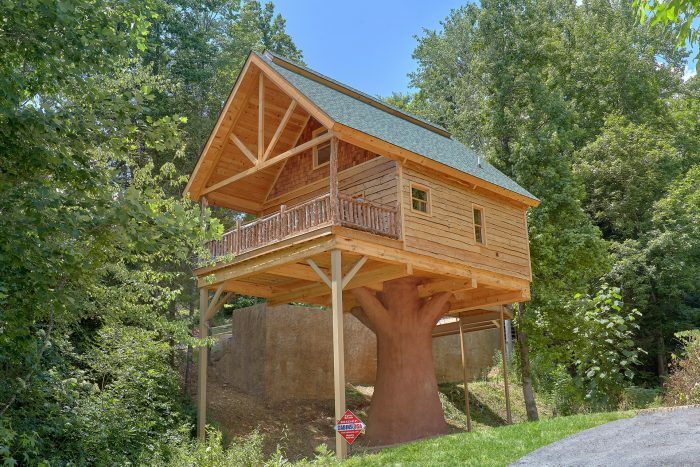 Book "Out On A Limb" today with Cabins USA and you'll save 15% on your very own cabin that's less than one mile from Downtown Pigeon Forge!